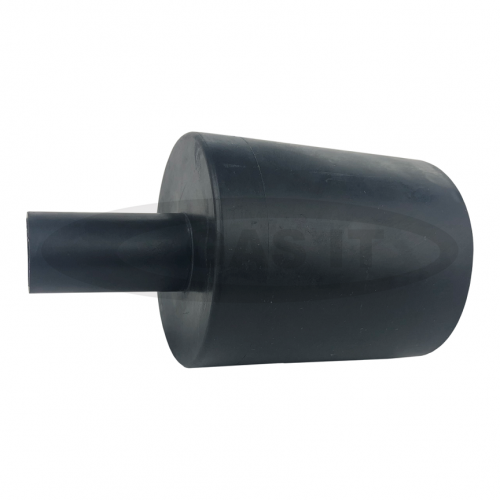 GAS IT ​​​​​​​Straight Rubber Cover for 70mm Body Mount Fill Box Housing - GAS IT Leisure Gas Bottles, Gas Cylincers and Gas Tanks - Catering, Motorhome, Campervan, Caravan, Farrier and Road Repair Refillable Gas Solutions. Straight Rubber Boot for 70mm Complete Round Black Body Mount Filler Box to create a gas tight seal. It simply fits over the back of the GAS IT 70mm Fillbox and when cable tied in place around the box and our fast fill hoses it makea gas tight seal so no gas from a leaking joint or from everytime the fillpoint is filled and the gun released goes in to the vehicle.